Is Strickland Marine Insurance an insurance company or an agency, and what’s the difference? What’s the significance of an “independent” agency? Why do some insurance companies ask for social security number and driver’s license? How is my rate or premium determined? Will my credit score be affected by getting an insurance quote? Do claims follow me and cause higher premiums? For what kinds of boats does Strickland Marine offer policies? Does Strickland Marine offer insurance for self-built boats? Does Strickland Marine offer insurance for antique boats? Does Strickland Marine offer insurance for high-performance boats? What value should I place on my boat policy? I invested money improving my boat. Can I insure the improved value? What should I do to prepare for a hurricane? Is theft of equipment covered? What if someone borrows my boat? Am I covered if I tow a stranded boat in from the water? What does “direct bill” mean? What is a “named windstorm”? What is a “windstorm deductible”? What is a “named-windstorm deductible”? Is my fishing tackle covered? Can I put a larger engine on my boat than the manufacturer recommends? How do the boat insurance policies sold by Strickland Marine compare to the policies sold by major homeowners’ insurance carriers? Should I get a towing contract with Sea Tow or Tow Boats US even if I have towing insurance? What’s the difference between Agreed Value, ACV, and Replacement Cost, and which do I have? Do I pay my premium directly to Strickland Marine Insurance or directly to the insurance company? Does Strickland Marine offer referral commission to licensed agents who refer business to Strickland Marine? What do I do if I got a cancellation notice? Where can I take my boat? What if I want to go outside the navigational area covered on my policy? Does my homeowner’s insurance cover my boat? Does Strickland Marine represent insurance companies directly, or is it a middle man? Won’t I get a better deal by calling a company like Travelers or Progressive directly? Can I finance my boat, yacht, or other marine insurance premium? How do I add a lien holder to my policy? How do I get proof of insurance to my bank? Is Strickland Marine an insurance company or an agency, and what’s the difference? An insurance company (aka “carrier” or “insurer”) insures and underwrites the risks if an insured (customer), transferring and accepting upon itself an agreed limit of financial risk from the insured, as stipulated in an insurance policy, for a sum of money, often referred to as a premium. The responsibility for paying claims arising from the insurance policy is on the part of the insurance company–the insurer–rather than the agent, agency, or broker. An agency is a commercial entity that represents one or more insurance companies and receives a commission from the premium, paid by the insured to the insurer, for providing sales and service relating to the insurance company’s insurance policies. The insurance agency helps market policies, bind coverage with insurers, help insureds determine and select appropriate coverages, and file claims. Strickland Marine Insurance Agency, Inc. is not an insurance company or insurer; Strickand Marine Insurance Agency, Inc. is an independent insurance agency that sells insurance policies on behalf of insurance companies for a commission, both directly and through wholesalers. As an independent agency, Strickland Marine Insurance Agency, Inc. sells policies from many different insurance companies and shops among the offerings to place customers’ risks with companies selected by the customers based on the competitiveness of the products and premiums. Strickland Marine Insurance Agency, Inc. is not responsible or obligated to pay claims arising from an insurance policy; the respective insurance companies that issue and underwrite the policies sold by Strickland Marine Insurance Agency, Inc. provide the policies, are the insurers of the policies and risks included therein, provide all actual insurance coverage pertaining thereto, and are solely responsible for paying all valid claims. Some of our insurance carriers accept credit-card payments while others do not. 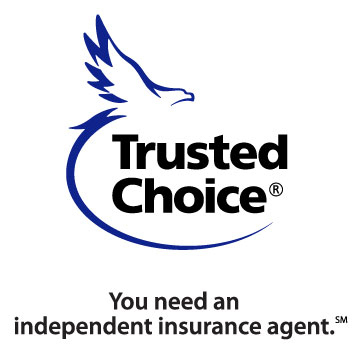 Independent agencies are not tied to one specific insurance company but represent or sell insurance policies for/from multiple companies. Captive agents, such as State Farm, only represent one parent company (some are also allowed to represent one or two partnering companies). Strickland Marine sells insurance policies from over three-dozen carriers; so we shop the market for the customer and are not beholden to any one carrier. This way, we can more objectively find the customer the best policy for the best price. Many insurance companies are moving to a method of rating called “insurance score”. This requires that the SSN and DL# are obtained. If you do not provide your SSN and DL#, those companies will still quote your insurance, but they will give you a high rate because they cannot confirm your insurance score and must assume the worst-case scenario on your insurance history. Who determines my insurance rate and premium–Strickland Marine or someone else? Strickland Marine does not determine your insurance premium or rate. Each insurance company determines what rate they give us for your particular request when we submit a quote request to them. We request a quote from various carriers, causing the various companies to compete for your insurance. We compare the spread of quotes and offer the best of the lot to you. You choose from there. Sometimes, one or two carriers stand out from the rest by such a large margin that we only present one or two quotes, even though we’ve obtained others. There is a wide variation among carriers. For the same risk, one carrier may quote $1500 while another quotes only $500 with even better coverage. Your rate is determined by a matrix of criteria, including your personal information, your insurance-claim history, the type, value, and age of your vessel, the home port and navigational area requested for your vessel, the speed of your vessel, and sometimes,your credit score. Commercial insurance is rated differently from pleasure craft. It is very important to always give honest, accurate information to your agent while obtaining a quote or binding a risk to avoid unnecessary cancellations or problems in claims processing arising from misrepresentations. 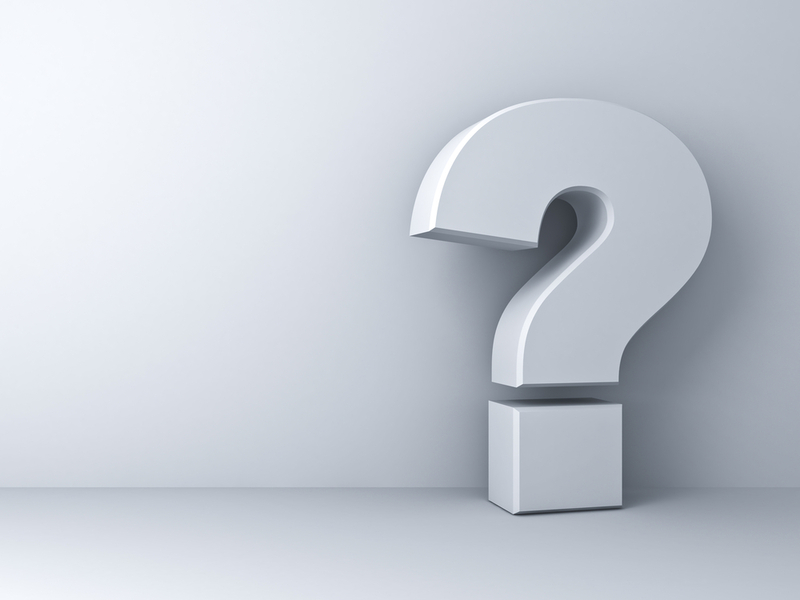 Questions pertaining to commercial insurance should be directed to your agent. Some claims follow you and can cause higher premiums in the future. Towing claims generally do not, but each carrier is different in what it will consider from your claim history when rating. We sometimes have customers who ask us if they should file a small claim in light of the fact that it might affect future rate increases. We cannot make the decision for the customer as there is no “correct” answer; it’s our job to file whatever claims are made. As a courtesy to those seeking to avoid potentially costly claims history, we offer the following advice. It is generally not recommended to file several small claims over any given period of time. The prevailing school of thought among advisors is that insurance is best used in a strategic way to cover large losses that would otherwise impose significant financial hardship on the insured. Others are of the school of thought that asks, “What is insurance for if not to pay for losses?” We prefer to leave the decision up to you, the insured, our customer. Think about the costs versus benefits, and make the decision that feels best to you. We are here to serve your needs and file your claims. All kinds, from personal watercraft to commercial oil tankers. What value should I place on my boat insurance policy? I invested money improving my boat. Can I increase the insured value based on the improvements? Yes. Provide us with the receipts and records. In some cases, a survey will be required. There is no right answer to this question except that more is better than less. It is your choice. The purpose of liability insurance is to defend you from lawsuits and pay any damages to others for which you are held legally liable by a court or law, and there is no theoretical limit for which you might be sued or found liable. Some use their net worth as a guide. Most insurance policies require that you take the precautions that a “reasonable and prudent” person would take. That terminology is vague and could be interpreted to range from securing your vessel as well as possible where it is to moving your vessel to a ship yard, inland, or out of the damage path of the oncoming storm. Some policies also require or stipulate a specific hurricane plan, which you must follow. Many policies that we sell cover your hurricane haul-out expenses to a specified sub-limit (some may not specify a sub-limit). Since policies can vary among vessels and carriers, read your policy and check with us for your specific requirements. DO NOT by any means fill your vessel with water in an effort to “weight it down”. Contrary to some popular colloquial tales, that can DESTROY your boat and trailer and lead to a potentially uncovered claim as “intentional acts” are generally excluded on any insurance policy. Take reasonable measures. Many place their smaller boats in garages while owners of larger boats and yachts arrange hurricane storage at boatyards in advance. Since people rush to boatyards when a storm is coming, some boatyards offer in-advance hurricane-storage contracts so that your stop will be held open for you in the event of a hurricane. Don’t wait until the last minute. Theft is typically covered, provided that there is evidence of theft, such as visible signs of forced entry, forced removal of an installed item, or related damage to locking devices. What is typically not covered on any insurance policy is “mysterious disappearance”, where there is no evidence of theft other than the disappearance of an item–usually a portable item. As such, portable property and electronics are typically not covered for theft while permanently installed equipment is covered for theft. There are exceptions to this. For example, on many policies, fishing equipment and other portable items ARE covered for theft, but again, there generally must be evidence of a theft other than the simple disappearance of the items alone in order for the coverage to be effective (e.g., visible signs of forced entry or removal). Some companies are more liberal in paying for “iffy” theft claims than others. We strongly recommend that any portable items be removed from the boat and/or stored in locked storage. Marine insurance policies typically cover your vessel while it is being used by someone with your permission. The operator of the boat is typically not covered for injury to himself, but liability toward others is typically covered, as is the risk of damage to the boat. Maritime law requires boaters to help each other on the water; as such, marine insurance policies typically anticipate occasional towing of stranded vessels and provides coverage under such conditions. “Direct bill” means that the insurance company bills you directly. We do not receive your payment. The insurance company receives it directly and pays us a commission after receiving your premium. If the premium is made on installments, each installment goes directly to the insurance company, and we receive our portion of commission from the company from each installment as each is processed. Various policies may vary in the definition of this term, but generally speaking, a named windstorm is a windstorm that has been designated an official name by an authoritative body, such as NOAA. Such storms include, but are not necessarily limited to, hurricanes, tropical storms, and noreasters. A named-windstorm deductible is a separate deductible that applies to your vessel for claims that arise as a result of named windstorms. They do not apply to non-named or regular windstorms. A windstorm deductible is the same as a named-windstorm deductible with the exception that a windstorm deductible applies to all windstorms, while a named-windstorm deductible applies only to named windstorms. Many policies that we sell cover fishing tackle up to a specified limit, either as specified fishing tackle or as personal effects. Each policy, however, is different, and some do not cover fishing equipment; so check your policy for specific coverages and discuss your needs with your CSR. Can I put a larger engine in or on my boat than the manufacturer recommends? No. Violating any sort of regulation, manufacturer’s specification, or other similar construct would the terms of the average insurance policy and could result not only in damage to your vessel and increased liability exposure but also unpaid claims. How do the boat insurance policies sold by Strickland Marine compare to marine coverage sold by the major homeowners’ insurance carriers? Homeowners’ carriers typically offer only limited coverage to limited kinds of vessels. Boat insurance is a sideline to those companies as homes and autos are their primary lines. Two of the major three homeowners’ carriers offer ACV policies and do not offer agreed-value coverage. We offer marine-specific policies from marine-specific insurance carriers. Marine insurance is our primary line and specialty. Although most policies that we sell cover towing, we still recommend a contract with either Sea Tow or Tow Boats US. Towing expenses can easily surpass limits provided on the average insurance policy, particularly if you take your vessel into offshore waters. Towing contracts are typically inexpensive. However, be aware that even if you have a towing contract, some towing companies will charge extra for things other than towing, such as pump rental. Always make sure you know what they will charge for any service before accepting. What’s the difference between Agreed Value, ACV, and Replacement Cost? See our explanation of these terms on our General Coverage Information page. Do I pay my premium to Strickland Marine Insurance or directly to the insurance company? Most boat and yacht policies that we sell are “Direct-bill” policies; with such, you pay your premium directly to the insurance company, and they pay a commission to us after receiving your payments. Some policies are on an “agency-bill” basis. Those premiums are paid to us by the customer, after which, we deduct our commission from those premium payments and send the remainder to the respective insurance company, who is the ultimate recipient of the premium (minus the commission). In either case, if you cancel your policy early and request a refund of any unused portion of the annual premium, any due refund is made by the insurance company (although, in some agency-bill cases, the refund may be first made from the company to us and then from us to you; in such cases, we must first verify receipt of the validated refund from the company before forwarding the refund to the customer). In cases where you trade a boat in or replace a sold boat quickly, if you so choose, your refund can be credited toward a policy on the new boat. In other cases, some customers choose to use third-party finance companies to finance premiums (we can arrange third-party premium finance upon request). In such cases, the finance company pays the premium to the insurance company (either via direct bill or agency bill, depending on the policy and company selected), and the customer pays the finance company the agreed payments at the agreed intervals. Because the finance company actually pays the premium to the insurance company in advance in those arrangements, any return premium from the insurance company is due to the finance company. Upon receipt, the finance company forwards any due refunds back to the customer. Built-in electronics are typically covered. Portables and mysterious disappearance are typically not covered unless specified and/or unless there are visible signs of forced entry or removal. Yes. If you’re a licensed property and casualty insurance agent, please contact us for a referral agreement. Call us immediately if you want to keep the policy active. If you miss a payment, companies will issue a cancellation notice. Sometimes, this happens because of an address error. If you want your policy to remain effective, call us, make payment quickly, and we can often avoid cancellation, though this is not guaranteed (it depends on specific circumstances). We cannot prevent cancellation in all circumstances, but we’ll do our best and can often either prevent cancellation or rewrite the policy to minimize coverage gaps if you act promptly. Your policy will stipulate a navigational area. Always read your policy to be sure exactly what navigational warranty you have. Most small-boat policies that we sell cover your boat for occasional use in (trailering to) all 48 contiguous United States. This does not mean that you can change the long-term storage location of your boat without notifying us, though. Change in long-term storage requires policy and rating changes, so that requires notification. Yacht policies are typically more specific and restrictive in navigational area. Any given policy may exclude certain areas, especially during hurricane season. Call us. We can often add the navigational area you desire, and sometimes for just a limited time, if you want to minimize cost. In most cases, no. Homeowners’ policies are standardized forms with very specific, defined coverages. Unless you have a separate boat policy or special endorsement added to your homeowner’s form, homeowner’s insurance only covers a 14-foot boat (or less) with a 25 HP engine (or less) while it’s in your garage. A homeowner’s policy will not cover your 17-foot bay boat in your garage. It will, however, cover your 12-foot john boat while in the garage. Generally speaking, you need a boat insurance policy for a boat. Won’t I get a better deal by calling a company like Progressive directly? No. While some misleading advertisers suggest that you might get a lower rate by calling them “direct”, reality is almost always the opposite; “puffery” is not uncommon in the insurance industry. In reality, laws prevent “rebating”, and in almost all cases, you will actually save money and get better coverage by using a specialist independent agency like Strickland Marine. We are directly contracted with the top carriers-–including the ones making the “direct savings” claims–and we make the companies compete for your policy. Perhaps more importantly, you also get the superior customer service and expertise of a legitimate marine-insurance agency when you call us, instead of dealing with a different person every time in a remote, mass-market call center. Best of all, there are no computerized phone mazes for you to navigate at Strickland Marine–-just live people giving you good customer service. If you are unsatisfied, you can speak directly with the President and Vice President of Strickland Marine. We win customers by providing the best products, prices, and service, not by using mascots and clever advertising campaigns. Yes. Many carriers offer in-house financing, and for those that do not, we can arrange third-party premium financing through reputable third-party finance companies.